Many viruses affecting equines are also important human pathogens. Diseases like Eastern equine encephalitis (EEE), Western equine encephalitis (WEE), and Venezuelan-equine encephalitis (VEE) are highly infectious and can be disseminated as aerosols. A large number of horses and human cases of VEE with fatal encephalitis have continuously occurred in Venezuela and Colombia. Vesicular stomatitis (VS) is prevalent in horses in North America and has zoonotic potential causing encephalitis in children. Hendra virus (HeV) causes respiratory and neurological disease and death in man and horses. Since its first outbreak in 1994, 53 disease incidents have been reported in Australia. West Nile fever has spread to many newer territories across continents during recent years. It has been described in Africa, Europe, South Asia, Oceania and North America. Japanese encephalitis has expanded horizons from Asia to western Pacific region including the eastern Indonesian archipelago, Papua New Guinea and Australia. Rabies is rare in horses but still a public health concern being a fatal disease. Equine influenza is historically not known to affect humans but many scientists have mixed opinions. 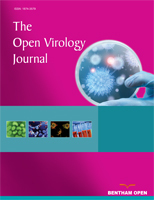 Equine viral diseases of zoonotic importance and their impact on animal and human health have been elaborated in this article. Keywords: Zoonotic diseases, Equine viral diseases, Human health, Animal health, Viral diseases, Pandemics.